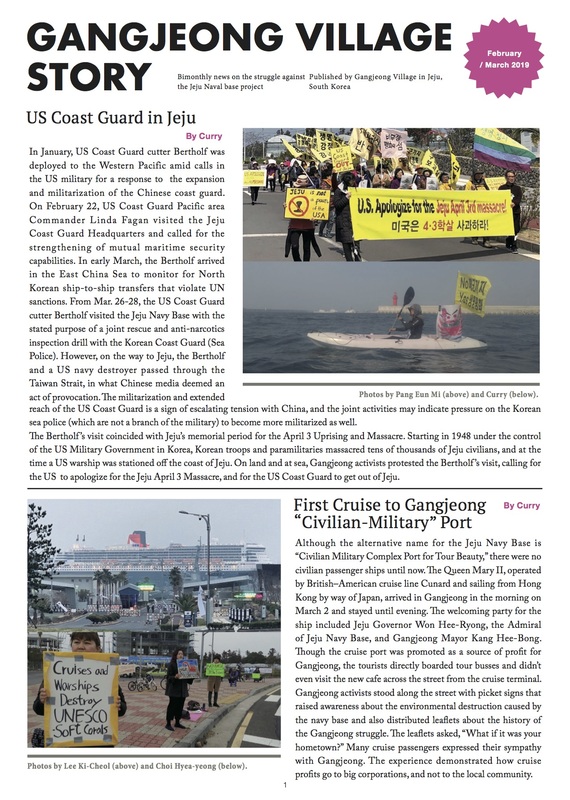 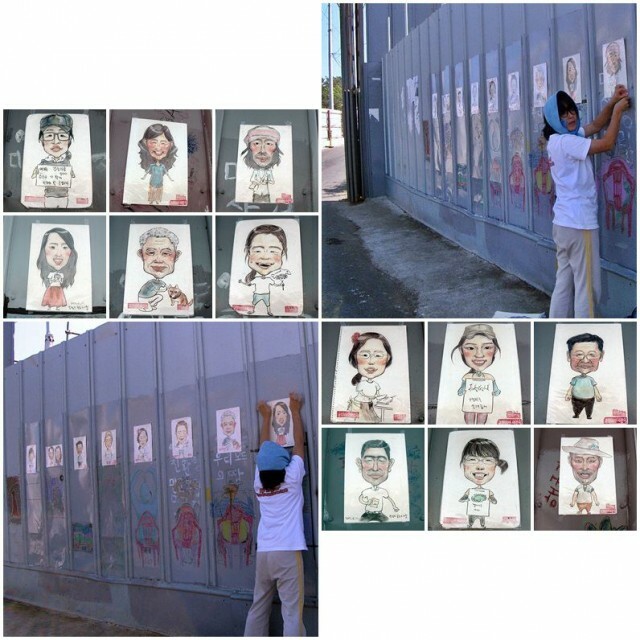 Bokhee exhibits her drawings on the fence of Naval Base construction site, near the gate. 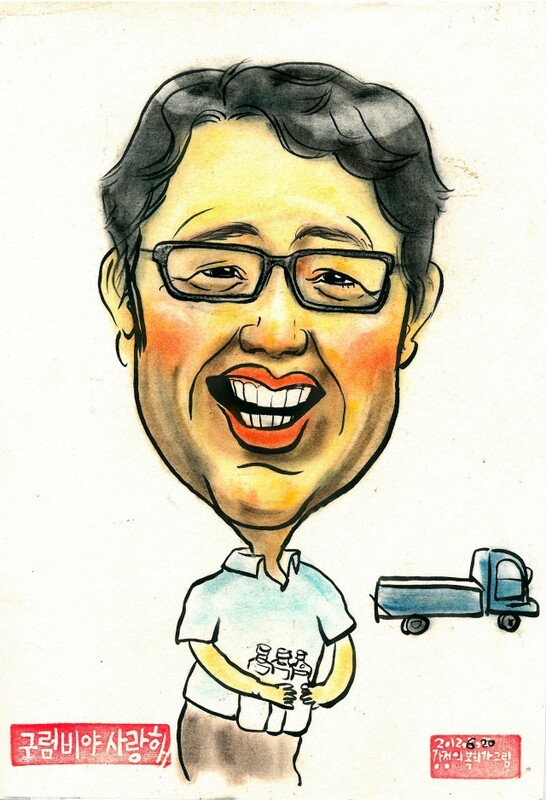 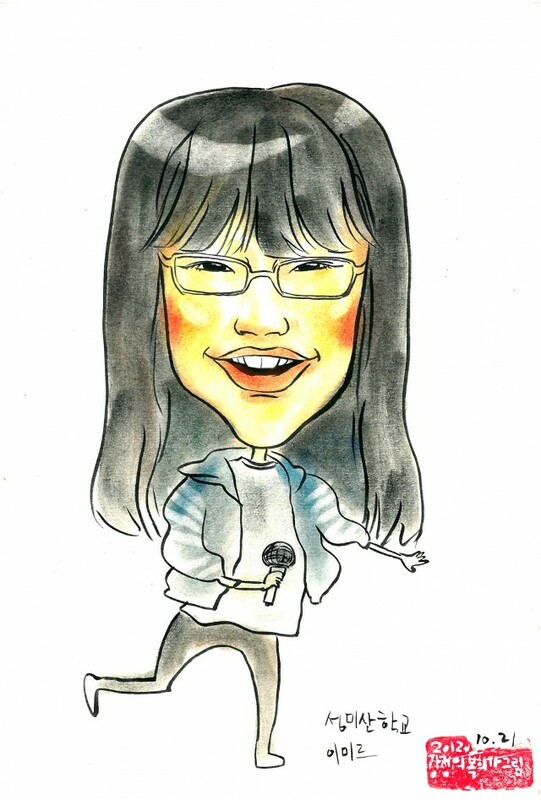 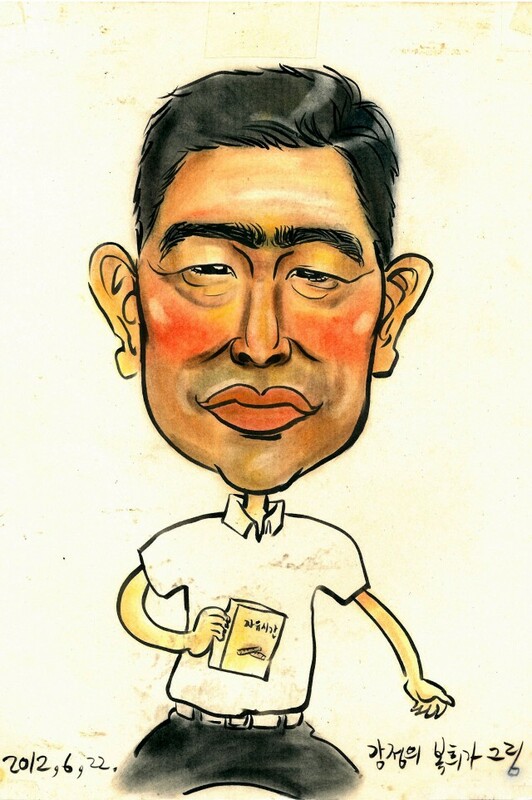 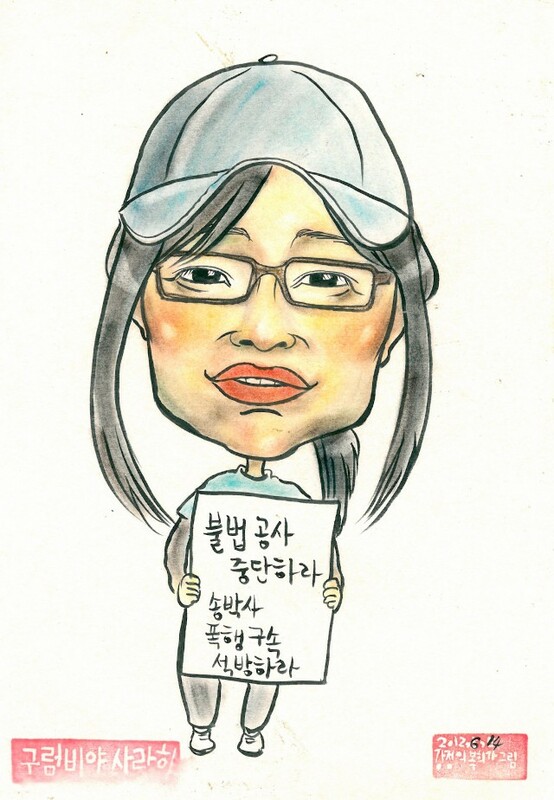 Young-Mi with a sign reading, "Stop the illegal construction, release the violently arrested Dr. Song"
These caricatures were drawn by Bok-Hee, an artist and activist in Gangjeong village. 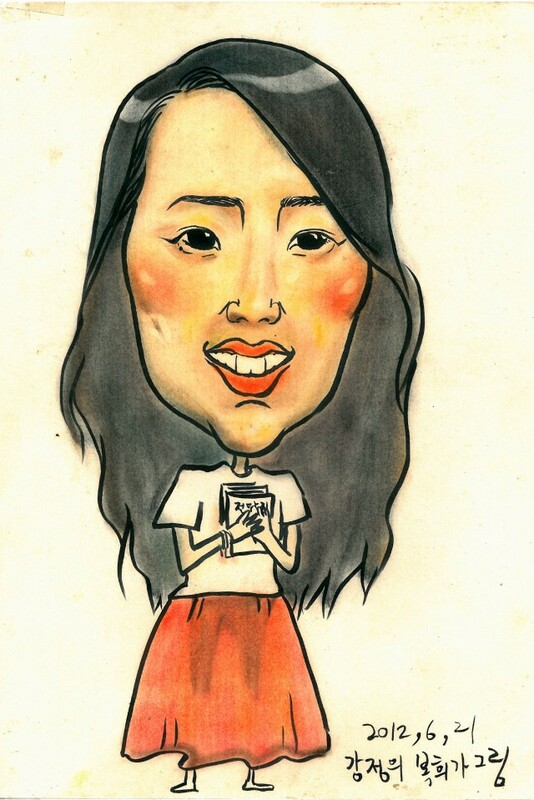 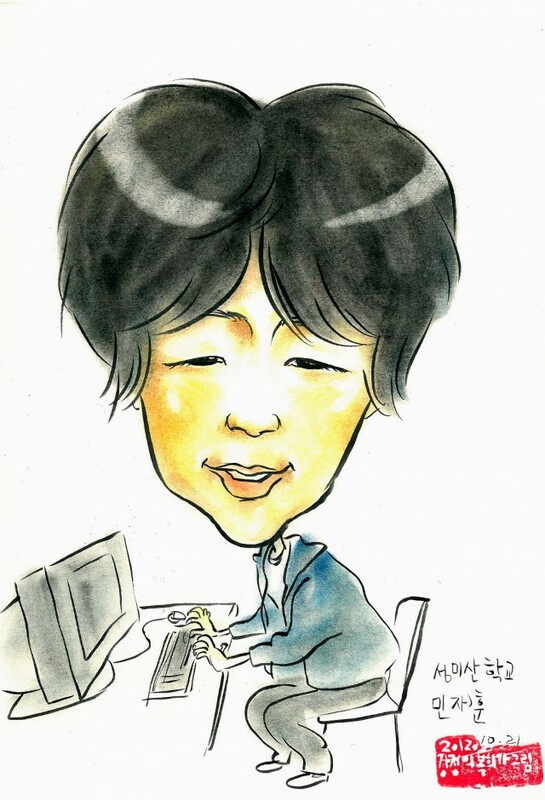 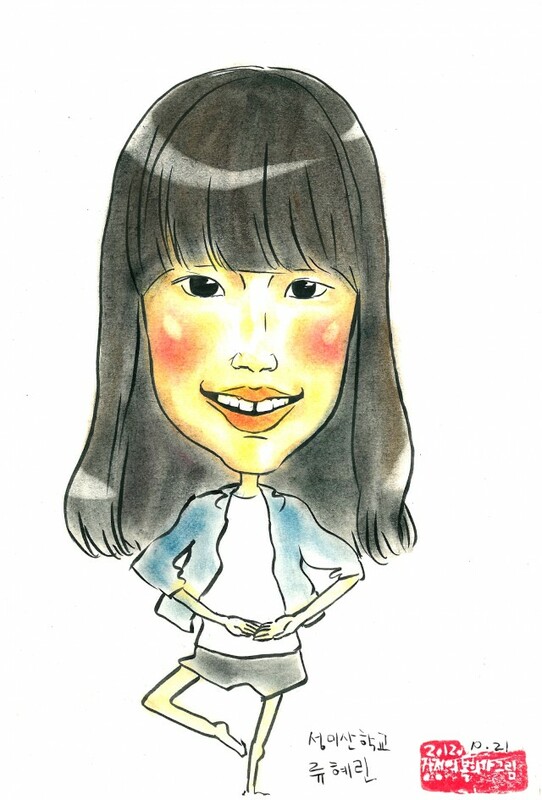 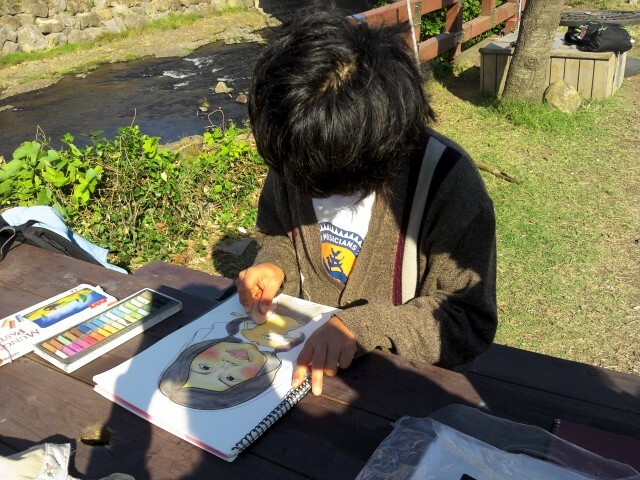 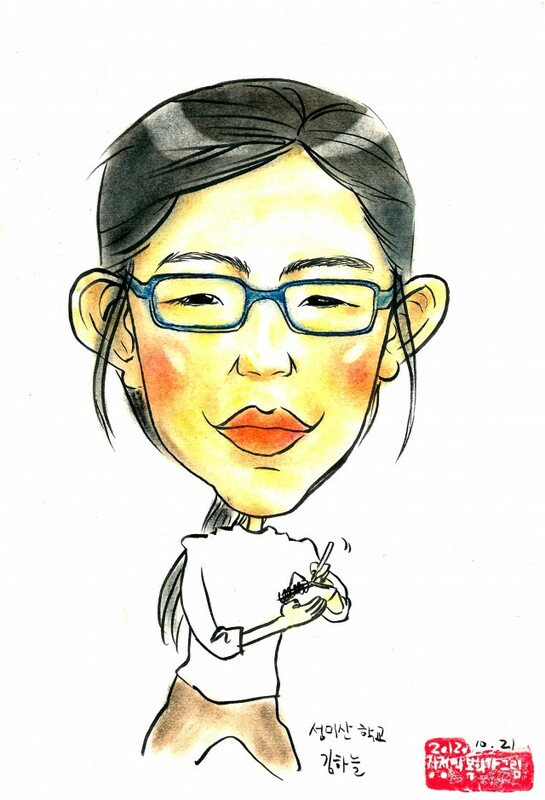 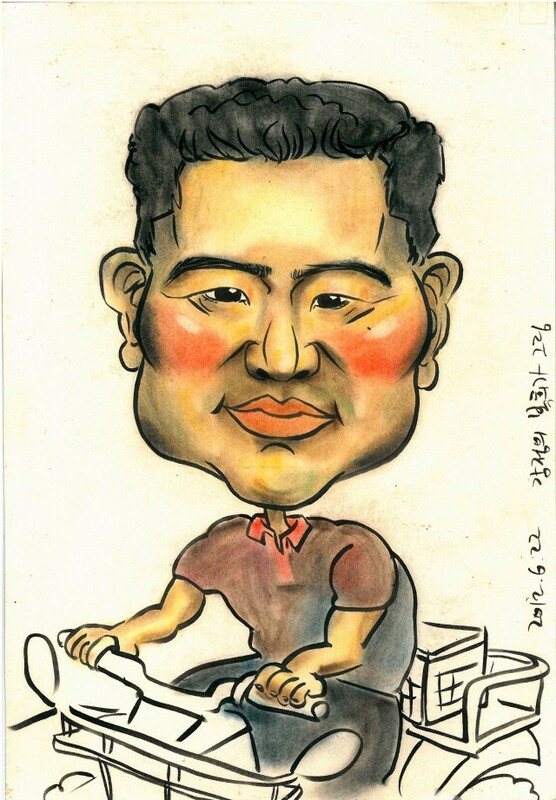 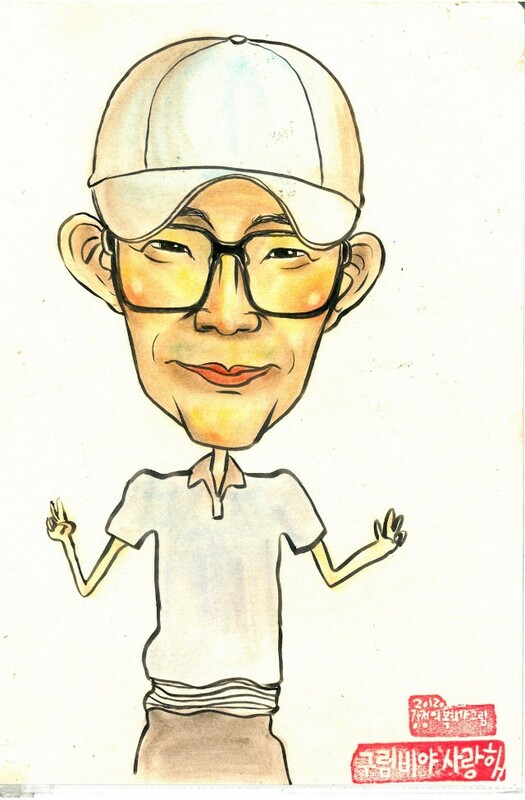 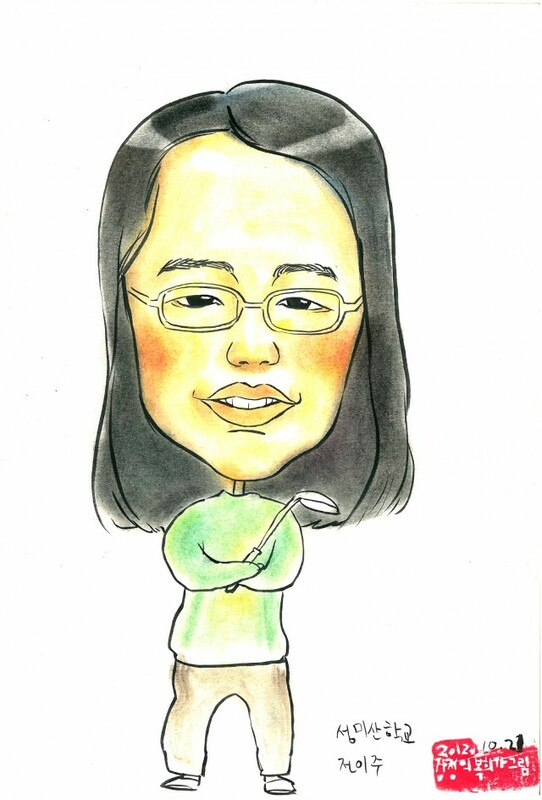 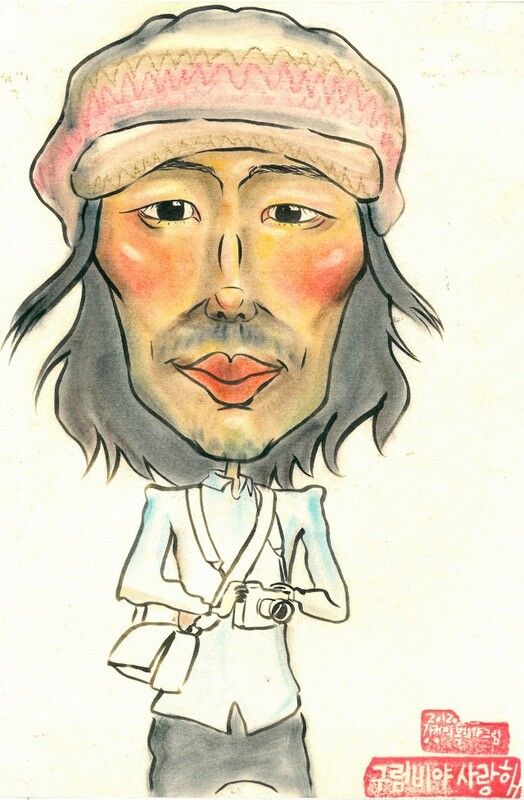 The people she draws are some of the people who live in Gangjeong. 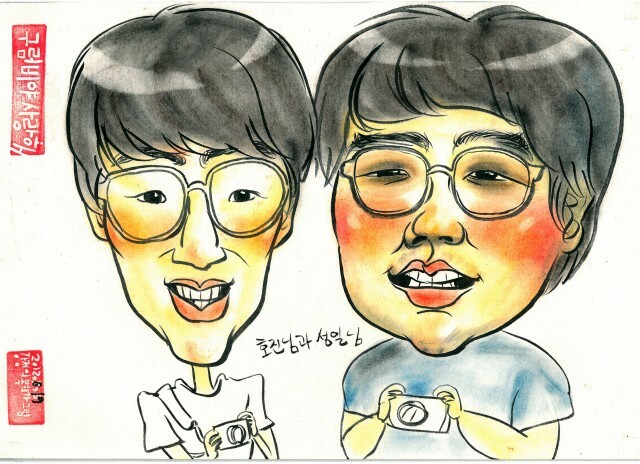 They are not necessary originally born in Gangjeong but they love Gangjeong and make an effort to protect Gangjeong. 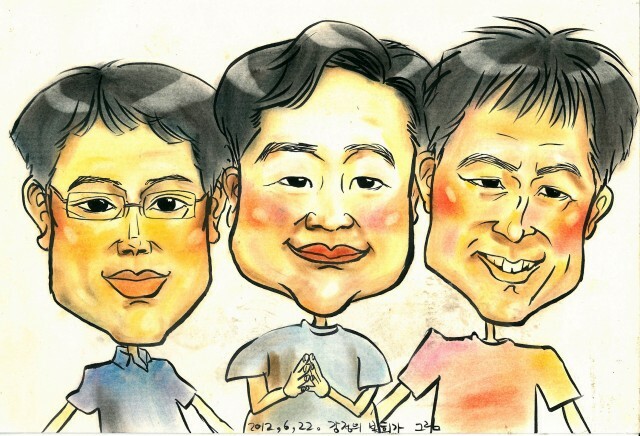 No matter where they are from, they are all now people who live in Gangjeong.